If you’ve been trying to follow the blog, you are already well aware of how poorly we’ve been doing keeping it updated. This week, we will try to remedy that problem and get back on track. Just like training cucumbers, if we do just a little bit at a time – we’ll have everything growing straight in no time. So as usual, there has been so much going on at the farm this week its almost difficult to know what to share with you. Easily the most exciting activity was the new greenhouse. It started in the middle of last week. Before we put the greenhouse up, we needed to level off a pad. 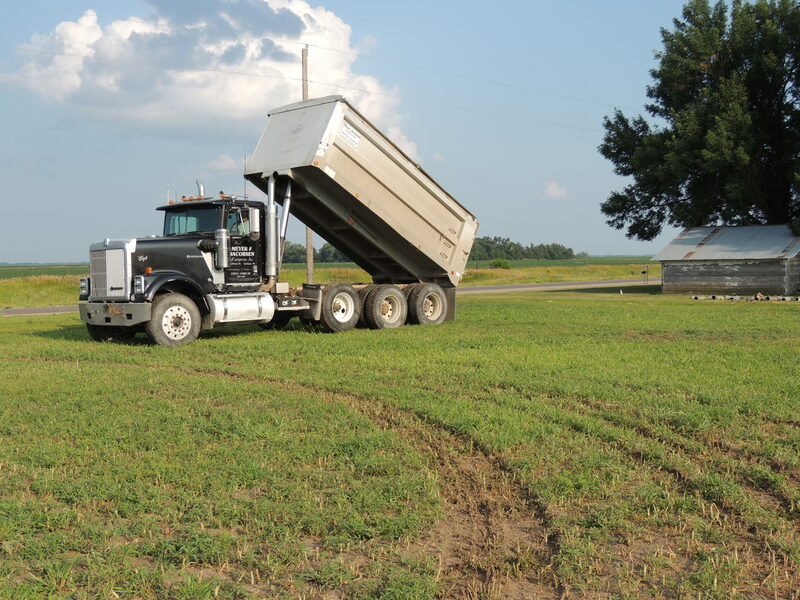 We had dirt delivered in a few loads and leveled off the area with the tractor. Then came the semi-truck. 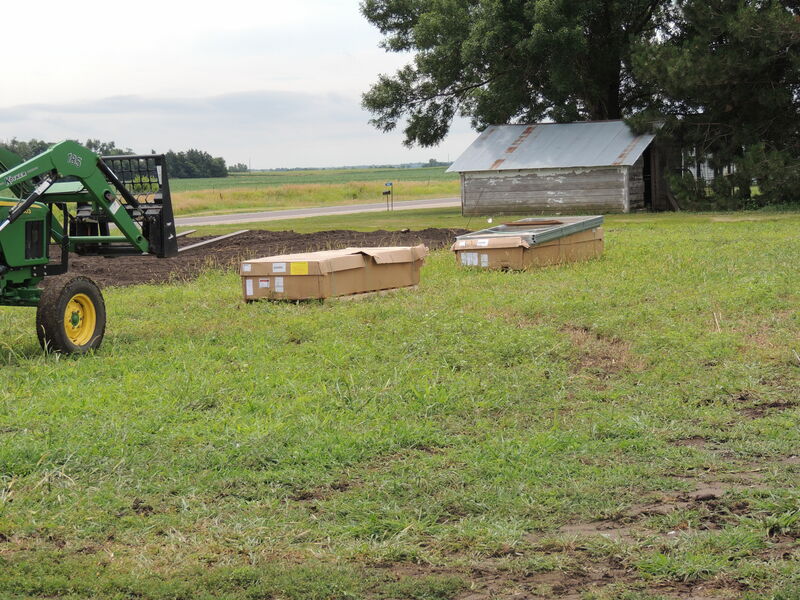 It doesn’t look like as it comes off the truck, but these boxes (plus a few extra) and pieces are going to become our very first heated greenhouse. 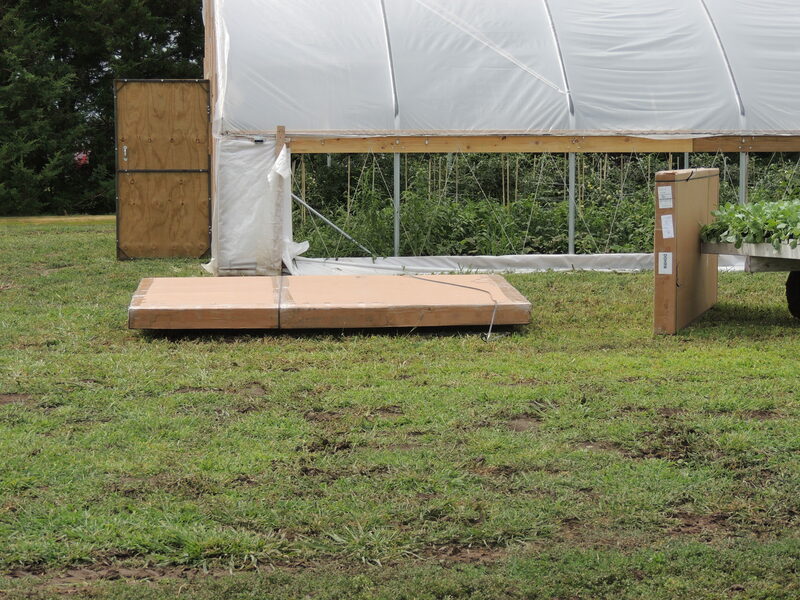 Although the high tunnels have many benefits, the heat of a greenhouse gives us new potential. This greenhouse will be up in relatively short order as we intend to use it for winter production of strawberries. 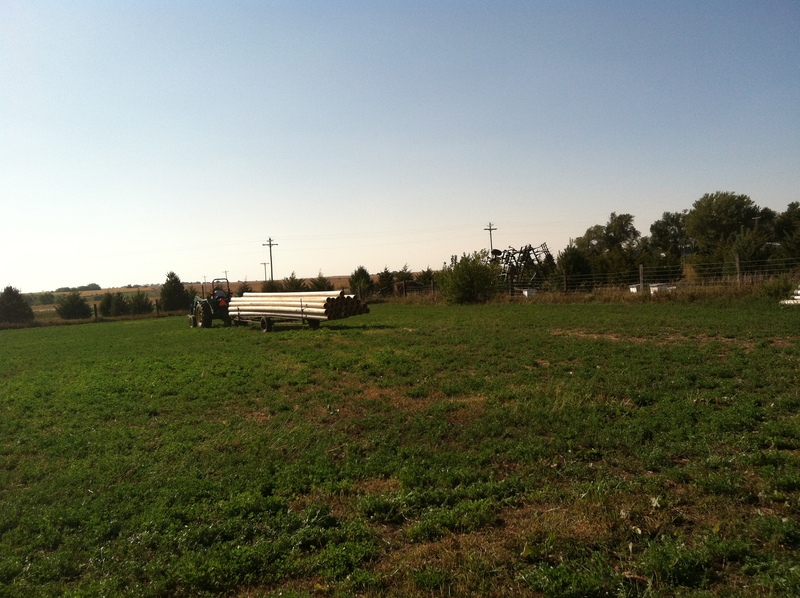 We will be working with UNL to determine if it is economically viable to grow winter strawberries in Nebraska. This means that we want to get our strawberries growing in the greenhouse around the first week of September. And on another strawberry note, we planted 1200 strawberry plants on black plastic in the field for next year. Sunday, July 14 from 4:00 – 5:40. We will hop on a hay rack, meet the crew, take a tour around the farm and see what’s happening. RSVPs are appreciated to Katie Pekarek. You can call, text, or email at (402) 560-3110 or pekareksproduce@hotmail.com. 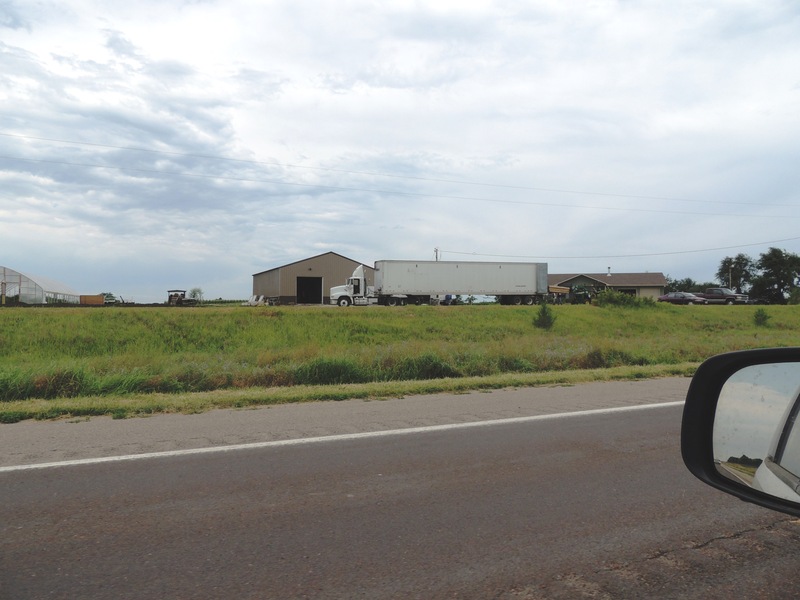 We are located on14 miles north of Seward right on Highway 15. Our address is 2447 Road O.
There’s been a lot of excitement on the farm next week. We’ve been busy seeding romaine and transplanting cabbage. But the biggest accomplishment has been getting pipe laid. The majority of our crops are drip irrigated. 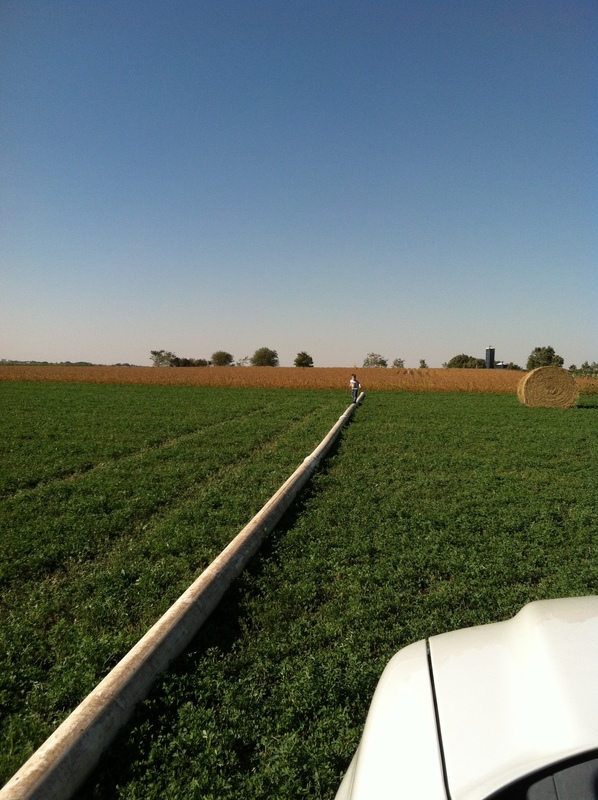 This means connecting drip lines (hoses) to hydrants located around the farm. This is a very efficient way to irrigate, however crops that are under drip tend to have a relatively shallower root system – which is fine in most cases. 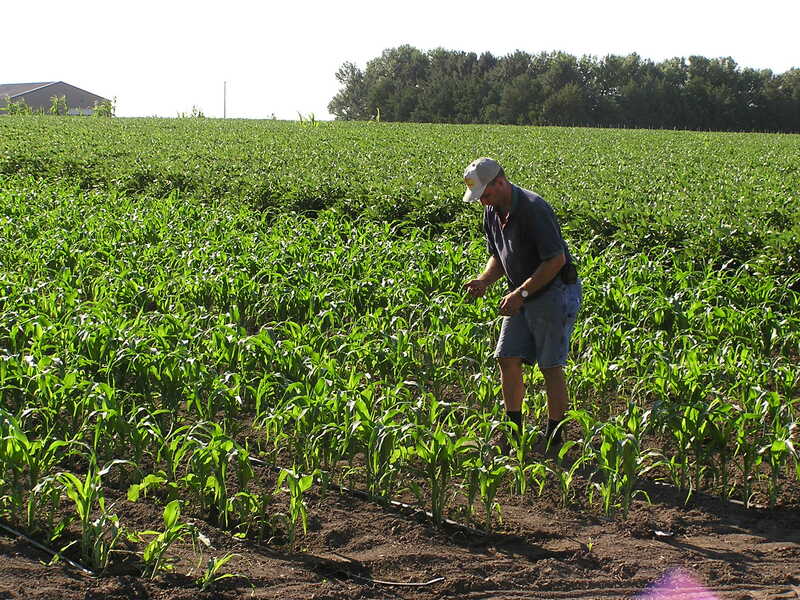 Sweet corn needs to have deeper roots or it will blow over in our Nebraska winds, amidst many other problems. 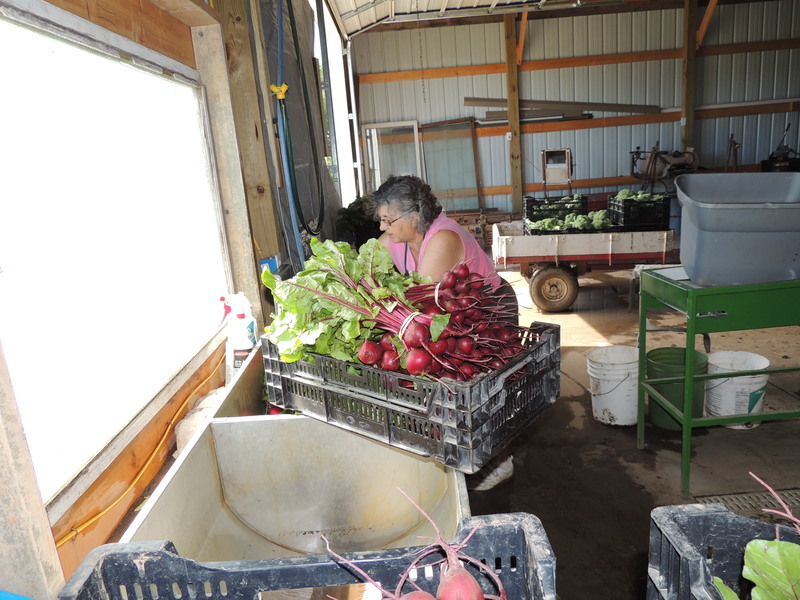 Here’s the news you have all been waiting for: the Pekarek’s Produce farm tour will be held on Sunday, July 14 from 4:00 – 5:30 pm. We will hop on a hay rack, meet the crew, take a tour around the farm and see what’s happening. RSVPs are appreciated to Katie Pekarek. You can call, text, or email at (402) 560-3110 or pekareksproduce@hotmail.com. We are located on14 miles north of Seward right on Highway 15. Our address is 2447 Road O. There are several crops planted at Pekarek’s Produce which are seeded directly in the field, but there are also many crops which are transplanted. Although we assist in seeding, we have a friend in Sutton that grows the transplants for us in a greenhouse. This week Ryan and the girl’s went to Sutton and seeded 15,700 broccoli and kohlrabi. One small reminder, please remember to return your bags each week. 1. Combine Dijon mustard, salt, black pepper, and tarragon. 2. Steam green beans, covered, 5 minutes or until tender. Keep warm. Its been another busy week here on the farm. Every week we go through the process of picking and packaging produce as well as maintenance, irrigation and planting. We are excited to say that we have started digging beets. These beauties are delicious- so enjoy. This week we’ve tied cauliflower. 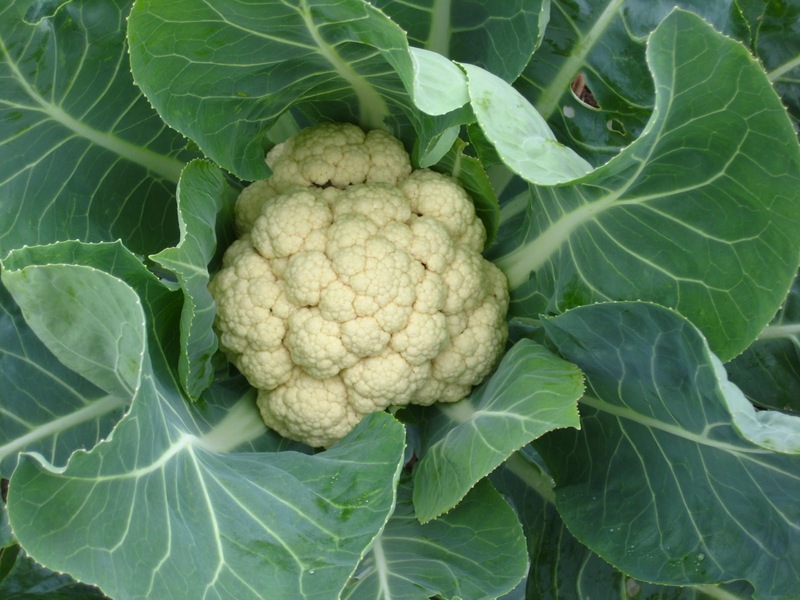 When the cauliflower head is exposed to sunlight, it turns a yellowish-brown. To prevent this, we take the leaves of the plant and tie them around the head so that it is not exposed to sunlight. Ryan has also been busy with other maintenance activities from stringing tomatoes to training cucumbers. 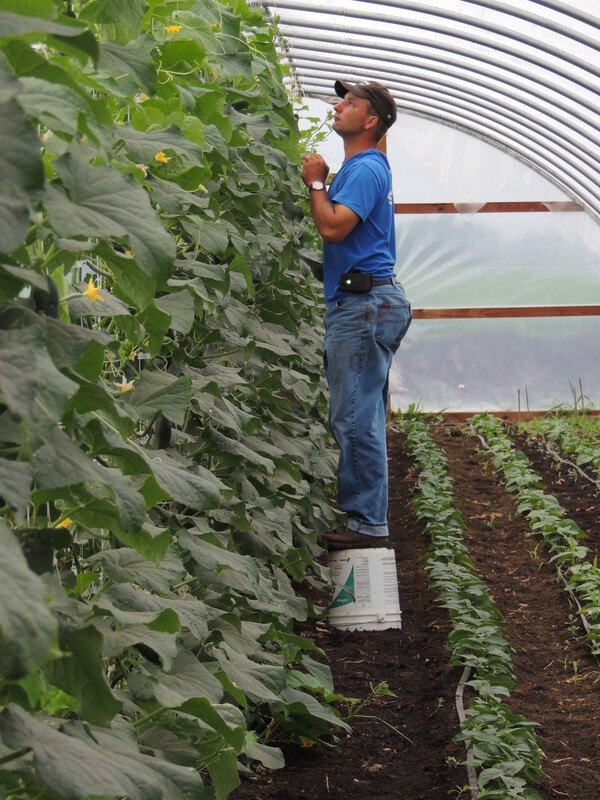 In the next picture, Ryan is training or trellacing the cucumbers by clipping the vines to a string. Only the cucumbers that are growing in this tunnel get trained.